we're Arizona's complete pest, termite, and weed control resource! We're a licensed pest, termite, and weed control company (AZ OPM LIC. #9189). Call today and we'll send out an expert technician to solve your pest control needs. 3. 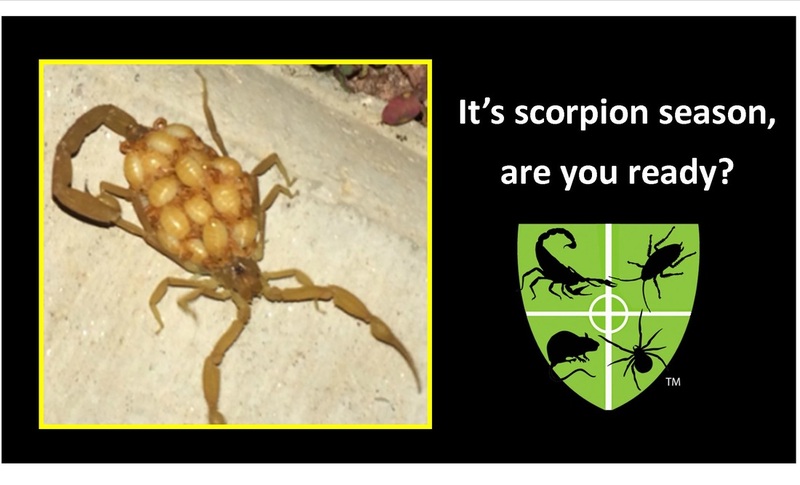 Female scorpions give birth to their babies alive, they do not lay eggs like other pests do. There are typically 20 - 30 babies born at one time. Immediately following birth baby scorpions crawl onto their mother's back where they will stay for about 2 - 3 weeks until they are ready to live on their own.